Each Modern proudly presents its first exhibition featuring the works of artist, poet, and curator, Li Yuan-chia(1929-1994). 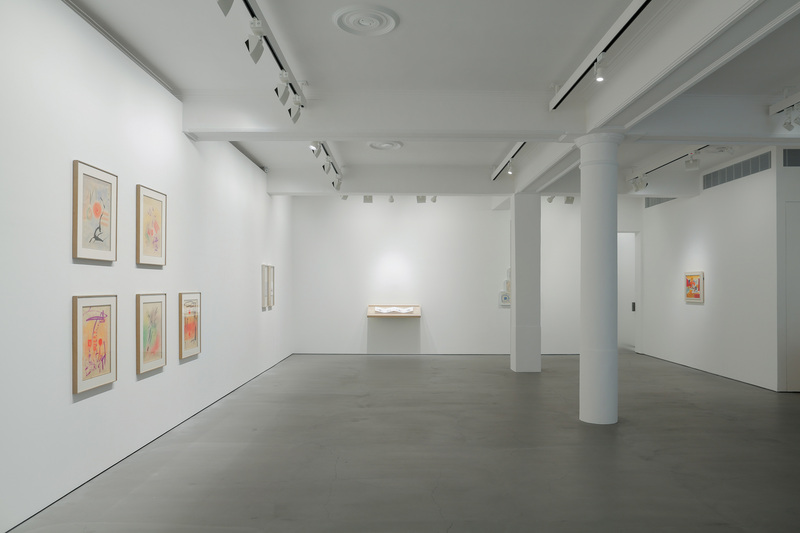 Li Yuan-chia and Homages To features a selection of water colors, hand colored photographs, folding books, wooden relief and other creations by Li exhibited with the works of six younger Taiwanese and Chinese artists working within the contemporary context. These new works reflect an esteem and appreciation for a seminal figure within Chinese abstraction that crosses not only borders and physical boundaries, but generation and time as well. Chinese painter Xu Jiong’s works push and pull between the worlds of graffiti, traditional ink painting, and abstraction, showing the tension that exists in even the most grounded motions within the contemporary. Reflecting a similar tension, Chou ShihHsiung’s personal histories and traditional motifs perform in concert in the form of a constructed structures and stories. Just as cosmic points were of concern to Li, Lan ChungHsuan’s contemplations of star maps and human dust tell a utopian story of rustless iron within the vacuum of space. Home, distance, horizontal orientations, fauvist colors and the act of painting itself are constellations within Lin YiHsuan’s playful paintings. Histories and their permutations are addressed in the works of Wu ChuanLun and Chang TingTong. Wu attunes his work with the digital brush and debris of his Berlin. Chang’s collaboration with historian Simon Schaffer recreates a antiquarian object, the clock, in a contemporary context through 3D printing. As part of the exhibition, Helen Petts’ film “Space & Freedom” will be screened. Mixing Li’s own archival films with field recordings and footage shot by Petts around Li’s derelict house in Cumbria, the film attempts to connect the landscape and memories of Li through its own interactions. Pianist Steve Beresford improvises on prepared piano in response. Li Yuan-chia and Homages To seeks to bring unexplored histories to the surface through connections made in the present in new and unimagined ways. In collaboration with The Li Yuanchia Foundation, Each Modern presents an exhibition that invites visitors to stand before new and emerging cosmic points.